The Campaign for Labour Party Democracy (CLPD) is today writing to all constituency parties and supporters calling for nominations of six candidates for the six constituency party places on Labour’s National Executive (download leaflet here). The deadline for nominations is Friday 30 March 2012 and the all-member postal ballot will take place in May and June. This is an important election since, at the last election two years ago, the right-wing Progress and Labour First slate won three of the six places in spite of winning only 36% of the votes cast. In the absence of agreement on a centre-left slate, ten candidates on the Centre Left of the party won 53% of the vote but only three places. Non-aligned or self-described independents won almost 11%. Since organisations across the centre-left of the party, under the auspices of the Centre-Left Grassroots Alliance, have not yet been able to agree six candidates, they have resolved to let constituency parties resolve the issue themselves. The Centre-Left Grassroots Alliance will support three women candidates and whichever three of the four men seeking nominations who win most nominations. All the candidates will also back the constituency parties’ choice of six. 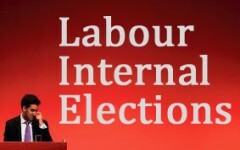 The Labour Representation Committee (LRC) is calling for nominations for Christine Shawcroft and Gary Heather, the two candidates who received the most support at hustings they held at their AGM in London last November. Gary Heather is Chair of Islington North CLP and was, until recently, a member of the CWU executive. He is also President of Islington Trades Council and was a PPC at the last election in Tunbridge Wells. He has previously stood for election to the conference arrangements committee with the enthusiastic backing of the CLGA. Of these seven candidates, therefore, all three women be be backed by the CLGA in the election. Ken Livingstone is a sitting candidate and, as a prominent national figure, is thought likely to receive the most nominations amongst the others. Pete Willsman was the highest placed non-elected male candidate last time and, having served on the executive for so many years, is thought to have the best chance of winning an extra place this time. CLPD is backing Gary to be a constituency party representative for London on the national policy forum but wanted to ensure that there was better representation of the other nations and English Regions on the national executive. The LRC is also keen to see wider geographical representation but, since Darren Williams had not decided to stand at the time of their hustings, felt bound to support the two who had done so and had the most support. The matter will be resolved by the nomination process. All organisations and candidates involved have agreed to abide by the outcome and there will therefore be an agreed slate of six centre-left candidates before the election takes place. Pete Willsman’s experience of Labour party shenanigans is unrivalled. At a time when people seem all too cautious about challenging the party’s political direction where it matters and too relaxed about mouthing off at the press in a destructive fashion, he is exactly what the NEC needs. Unlike our other so-called ‘CLP representatives’ he has consistently stood up for the rights of CLPs to choose candidates and for CLP delegates to take a proper role at conference. In comparison, Luke Akehurst seems merely capable of chairing boring and time-wasting ‘panel discussions’ at conference. Of course Luke has been and will always be a chap who is looking for a seat, be that with New labour, Brown’s labour or Miliband labour and that again is a problem. Careerism for the need to make money not because you believe in something. Anyone know how Christine Shawcroft is CLP sec in Nottingham when she lives and works in London? Christine has been Constituency party secretary in in Nottingham, where she does live, for seven years. She’s also branch secretary and on the Local government committee. For doing that on top of working in London she deserves congratulations. IS kate osamor any relation to Martha Osamor? Martha Osamor is indeed the mother of Kate Osamor. The fact that you consider these candidates to be centre left is the very reason Labour is so out of touch with ordinary Britain. The fact that some of you will read this as me saying they’re right wing only leads me to despair.